If your cardiologist suspects a possible heart problem and needs a detailed image of your heart to diagnose, they may recommend an echocardiogram. 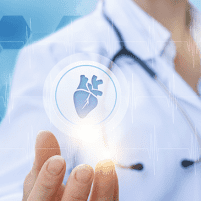 At Healing Hearts Clinic in Conroe, The Woodlands, and Huntsville, Texas, the highly respected cardiac care team has many years of experience with echocardiogram, electrocardiogram, and other diagnostic tests. If you’re diagnosed with a heart problem, your Healing Hearts Clinic care provider can prescribe an effective treatment right away. Book your appointment online or by phone now. With all of this information, your cardiologist can make an effective diagnosis. When do I need an echocardiogram? Your cardiologist may recommend an echocardiogram if they suspect heart problems like heart valve malformation, a cardiac mass, congenital heart disease, or other issues. If you're having symptoms of heart trouble, for example, chest pain and breathing issues, an echocardiogram may be the main diagnostic tool that your cardiologist uses. What are the types of echocardiogram? There are several echocardiogram options, including the following. During a transthoracic echocardiogram, your sonographer applies gel to a handheld transducer device. Your sonographer applies the transducer to your chest to deliver the ultrasound energy within your heart. The transducer records your heart's echoes and sends this information to a computer. The computer translates the transducer information into a moving picture of your heart. This kind of ultrasound is generally best when your cardiologist wants to see a detailed view of the primary pumping chamber of your heart, but doesn't necessarily need a detailed view of the entire heart. In the transesophageal echocardiogram, your doctor inserts a very thin transducer in your throat and down into the esophagus. Your throat is numbed beforehand for your comfort. The transducer then records the information so the computer can translate it into images. You may need this kind of echocardiogram if a transthoracic echocardiogram doesn't give enough information, or if your doctor needs a detailed view of your whole heart. In both transthoracic and transesophageal echocardiograms, Doppler techniques help your cardiologist see blood flow and blood pressure changes, issues, and details. During a stress ultrasound, you exercise — either on a treadmill or stationary bike — and your doctor checks your heart both before and after the exercise to note changes. Time for an echocardiogram? Trust the Healing Hearts Clinic expert team to lead you through the process with the care and support you need. Book online or by phone now.